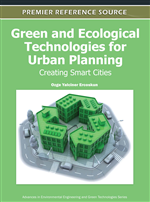 This chapter aims at exploring and conceptualizing green infrastructure (GI) as a comprehensive system in planning schemes of metropolitan cities such as Melbourne (Australia) and Izmir (Türkiye). Urban open space network(s) and its further step, “GI,” stretches out from the urban core through its periphery. This requires investigation of the planning hierarchy between metropolitan planning and urban design with a focus on connectivity and urban sustainability. Supporting and managing physical development, modes of transportation, and social life, GI provides ecological and social services to cities in pursuit of sustainable development. Following the scrutiny of Melbourne’s GI and its relevance to the planning history, this work undertakes a comparative analysis between Melbourne and Izmir in order to address the development of a metropolitan GI system for these cities. Such an approach would support policies and strategies relating to sustainable urban development. In today’s world of complex socio-ecological challenges and uncertainties, some novel approaches such as ‘green infrastructure’ (GI) addresses overriding issues of climate change, bio-diversity, and sustainability alike. To mitigate these challenges, it works to shift the ground of traditional planning and design practices and the structure of (un)built environments. In general, it relies on shaping and managing natural and cultural realms ranging between region - metropolitan - city - district - local, at a multi-scale level, and features landscape policies and strategies. Its efficacy over ‘sustainable city’ and ‘sustainable urban development’ concepts has, since the last decade, considerably increased in theory and practice across the globe. In order to engage into this century’s sustainability issues, GI congregates a breadth of subjects including landscape ecology, climate change, urban (infra)structure, public health, planning and design. Positioned at the intersection of planning, design and urban infrastructure, it has substantially communicated with future growth and conservation issues. The term ‘green infrastructure’ describes the network of natural and cultural landscape assets underpinning economic, socio-cultural and environmental thriving of cities and towns. GI strategies herein provide a framework for more holistic planning, design and monitoring of the complex interactions between the (non-regenerative) built form and the environment within which it is situated in order to enhance the performance of both, and to enable human settlements to function as integral components of larger landscape processes affecting energy, water, carbon and biodiversity (Australian Institute of Landscape Architects, 2009). Open space networks composed of protected landscape patches and connected by multiple corridors are widely recognized by the term `green infrastructure`. A `GI` network supporting the natural systems of a healthy ecosystem embraces all open space networks regardless of location, size and proximity to urban centre. Therefore, urban open space network(s) in some academic and practical works may stand for -or a previous step of- GI. Establishing urban open space network(s) or GI needs to make use of existing and potential public spaces including parks, squares, boulevards, pedestrian zones, green- and waterways, shorelines, creeks, natural drainage features and trails to constitute a broad array of movement and communication links, extending from the core of urban settlements through to the edge. Such interconnected system of public open spaces and greenways across and beyond the urban domain are of metropolitan and urban significance. This requires an inquiry to the planning hierarchy between metropolitan planning and urban design with a focus on urban sustainability. The basic aim of GI is to ensure ecologically healthy and vibrant cultural/natural landscape experiences for the sustainable city of today and the future. With an emphasis on connectivity of the ‘regional to local’ continuum, it supplies multi-functional services such as measuring ad hoc urban growth, protecting natural assets, managing economic prosperity and urban renewal. This chapter aims at exploring and conceptualizing GI as a comprehensive system in planning schemes of metropolitan cities such as Melbourne (Australia) and İzmir (Türkiye) and embracing exchange of insights on GI concept for providing more secure and vibrant urban (-fringe) landscapes. Since Melbourne was acknowledged as a model of sustainable urban development around the globe, it is being considered a benchmark for other cities worldwide. After the scrutiny of Melbourne’s planning history, significance of metropolitan and urban green infrastructures have been recognized within the planning sphere, and subsequently a comparative analysis between Melbourne and İzmir coastal cities embarked on. These cities have, to some extent, similarities pertinent to coastal geographic features and their own planning tracks as well. But later in their planning phases, there emerged some obvious differences and deficiencies that call for a superficial adjustment of GI implementation. As a consequence, this chapter justifies GI as a multi-scale approach between metropolitan planning and urban (landscape) design, and describes an in-depth understanding of urban sustainability as GI (would) provide(s) increased level of ecological and social services for İzmir and Melbourne coastal metropolitan cities.